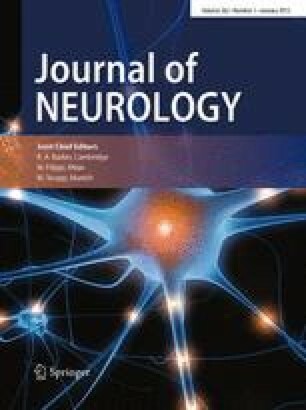 In multiple sclerosis (MS), periventricular lesions produce atrophy of the corpus callosum (CC), as evidenced by magnetic resonance imaging (MRI). We investigated whether CC atrophy in relapsing-remitting MS patients is related to functional deficits. We compared 14 mildly disabled (mean Expanded Disability Status Scale score 2.7) relapsing-remitting MS patients with 14 age- und sexmatched controls. CC size was determined using sagittal Tl-weighted MRI. The function of the CC was studied using a neuropsychological battery and neurophysiological evaluation based on visual stimulation using a divided visual field paradigm. The total area of the CC in patients (mean 5.3 cm2) was significantly (P=0.002) smaller than in controls (mean 6.6 cm2). Patients showed left ear extinction using the dichotic listening test and impaired name learning, which was correlated with atrophy of the splenium. There were no differences in interhemispheric transfer time between patients and controls. Marked atrophy of the CC can be encountered in relapsingremitting MS patients. The associated cerebral disconnection correlated with atrophy of expected regions of the CC, thus supporting topographical organization.